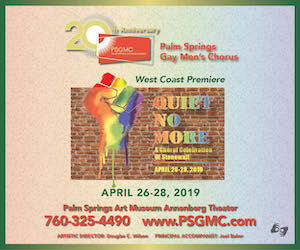 Enjoy this LGBT-owned, LGBT-Friendly vacation home in glorious Palm Springs created to feel like your home-away-from-home. In a quiet area of Palm Springs for peaceful relaxing vacation days, but just 10 minutes from the action. 10 minutes from Downtown Palm Springs and 15 minutes from Palm Desert, a perfect location right off the 111, the main thoroughfare that allows you to easily travel between the desert cities. Great neighbors, beautifully groomed grounds and all the amenities you could ask for: swimming, hot tubs, and tennis! Walk just a few blocks to local shopping and play golf across the street at Thaquitz Creek Public Golf Course right across the street. And for water lovers, its only 1 mile down the street from Wet’n’Wild Water Park and Slides! Less than a mile, there are bumper cars, miniature golf and Mary Pickford cinema with leisure rocking and reclining seats. This sophisticated modern-traditional condo, has been recently updated and tastefully designed with rich warm desert neutrals, and colorful vibrant original expressionistic artwork throughout. Gorgeous white plantation shutters class up the joint and there is a stunning view of the eastward mountains from the Master bedroom and the front of the condo. The kitchen is great for cooking with newly upgraded stainless steel range, dishwasher, microwave, toaster oven and stainless faucet with a coiled pull-down sprayer. Just a few blocks from Starbucks. But, you’ll also have a Cuisinart gourmet coffee maker and a coffee grinder to make great coffee at home, as well as a gorgeous expandable dry bar in the open living/dining area to mix drinks. The kitchen is fully functional, supplied with dinnerware, glasses, pots and pans, etc. to give you that feeling of being at home for short or long stays. We supply some food staples and condiments as well as dish and laundry soap, so you don’t have to buy these staples on your vacation. There’s a spacious terrace for outdoor dining, new top-loading Amana washer and dryer, and a skylight in the unit for additional natural light. Art and movie lovers will love this vacation home with a 200+ DVD collection. Our collection includes indie films, family friendly movies and several classic TV and Film series. Art lovers will also enjoy the original abstract expressionist artwork throughout the condo, paintings by San Francisco Bay’s Fine Artist Natalia Bortolotti. There is a laptop workstation in the second bedroom area, high speed internet, energy efficient central air/heat and an expandable dry bar. For television entertainment, we have ROKU and a DVD/Blu Ray player that has access to Netflix, Amazon, and Hulu and much more. You can also watch any streaming shows from apps you have subscriptions to. You can also bring your favorite movies on bu-ray if you like. This 910 sq ft condo, officially 1 bedroom, has the over-sized living room converted into a second bedroom/sleeping space and working laptop/office area. We have the front closet stocked with tennis rackets (2), floating pool mats (2), yoga mats (2) and a variety of fun games for your recreational play. Your just steps away from the community pool, hot tub and tennis courts. More fun and relaxation that you can imagine! Local events year-round, including the Famous Coachella and Stagecoach music festivals that you can easily shuttle to! You’ll love it here and we are looking forward to hosting you! **Per Palm Springs city requirements, all stays under 29 days incur a standard 11.5% hotel tax. In Compliance with the city of Palm Springs. Palm Springs City Permit ID# is 3856.